The Romance languages (more accurately the Romanic languages), are a group of languages known also as Latin languages, or Neo-Latin languages, and are descended from Vulgar Latin. They form a branch of the Italic languages within the Indo-European language family. The five most widely spoken Romance languages by number of native speakers are Spanish (410 million), Portuguese (220 million), French (75 million), Italian (60 million), and Romanian (25 million). The larger have many non-native speakers; this is especially the case for French, which is in widespread use throughout Central and West Africa and the Maghreb region. Galician–Portuguese, Spanish, Asturian-Leonese, Aragonese, Catalan, Gascon, Provençal, Gallo-Wallon, French, Franco-Provençal, Romansh, Ladin, Friulian, Venetian, Lombard, Corsican, Italian, Neapolitan–Sicilian, Sardinian, Dalmatian, Istro-Romanian, Aromanian, and Daco-Romanian. In several of these cases, more than one variety has been standardized, and is therefore considered a distinct language in the popular conception; this is true for example with Asturian and Leonese as well as Napolitan and Sicilian. 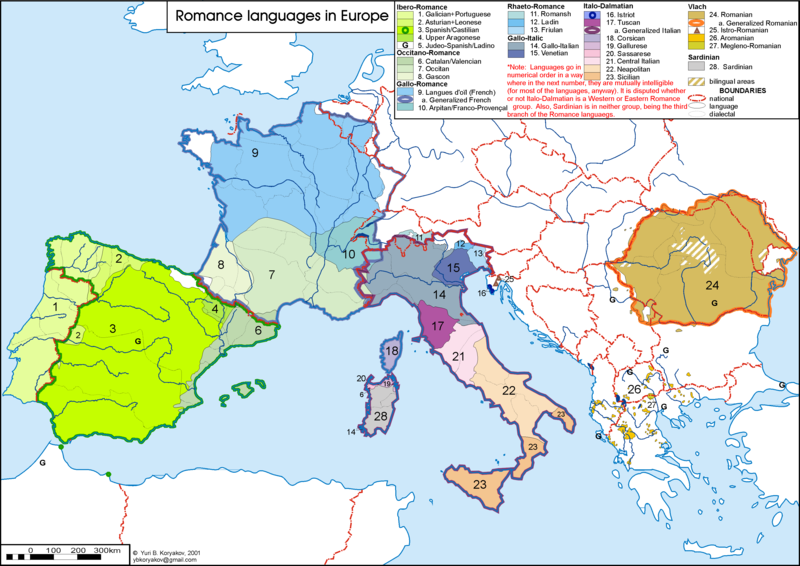 Romance languages are the continuation of Vulgar Latin, the popular and colloquial sociolect of Latin spoken by soldiers, settlers and merchants of the Roman Empire, as distinguished from the Classical form of the language spoken by the Roman upper classes, the form in which the language was generally written. Between 350 BC and AD 150, the expansion of the Empire, together with its administrative and educational policies, made Latin the dominant native language in continental Western Europe. Latin also exerted a strong influence in southeastern Britain, the Roman province of Africa, and the Balkans north of the Jireček Line. During the Empire’s decline, and after its fragmentation and collapse in the fifth century, varieties of Latin began to diverge within each local area at an accelerated rate and eventually evolved into a continuum of recognizably different typologies. The overseas empires established by Portugal, Spain, and France from the fifteenth century onward spread their languages to the other continents to such an extent that about two-thirds of all Romance language speakers today live outside Europe. Despite other influences (e.g. substratum from pre-Roman languages, especially Continental Celtic languages; and superstratum from later Germanic or Slavic invasions), the phonology, morphology, and lexicon of all Romance languages are overwhelmingly evolved forms of Vulgar Latin. However, there are some notable differences between today’s Romance languages and their Roman ancestor. 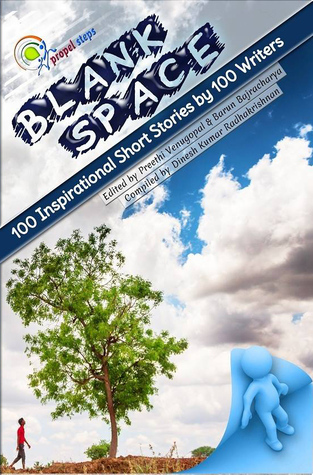 With only one or two exceptions, Romance languages have lost the declension system of Latin and, as a result, have SVO sentence structure and make extensive use of prepositions. English: She always closes the window before she dines. Latin (Ea) semper antequam cenat fenestram claudit. Aragonese (Ella) zarra siempre a finestra antes de cenar. Aromanian (Ea/Nâsa) încljidi/nkidi totna firida ninti di tsinâ. Asturian (Ella) pieslla siempres la ventana enantes de cenar. Catalan (Ella) sempre tanca la finestra abans de sopar. Corsican (Ella/Edda) chjode sempre u purtellu nanzu di cenà. Extremaduran (Ella) afecha siempri la ventana antis de cenal. Franco-Provençal (Le) sarre toltin/tojor la fenétra avan de goutâ/dinar/sopar. French Elle ferme toujours la fenêtre avant de dîner/souper. Friulan (Jê) e siere simpri il barcon prin di cenâ. Galician (Ela) pecha/fecha sempre a fiestra/xanela antes de cear. Italian (Ella/Lei) chiude sempre la finestra prima di cenare. Judaeo-Spanish Eya serra syempre la ventana antes de senar. Leonese (Eilla) pecha siempre la ventana primeiru de cenare. Ligurian (Le) a saera sempre u barcun primma de cenà. Lombard(west.) (Lee) la sara sù semper la finestra primma de disnà/scenà. Magoua (Elle) à fàrm toujour là fnèt àvan k’à manj. Mauritian Creole Li touzur pou ferm lafnet avan (li) manze. Milanese (Le) la sara semper sü la finestra prima de disnà. Mirandese (Eilha) cerra siempre la bentana/jinela atrás de jantar. Neapolitan Essa nzerra sempe ‘a fenesta primma ‘e magnà. Norman Lli barre tréjous la crouésie devaunt de daîner. Occitan (Ela) barra sempre/totjorn la fenèstra abans de sopar. Picard Ale frunme tojours l’ creusèe édvint éd souper. Piedmontese Chila a sara sèmper la fnestra dnans ëd fé sin-a/dnans ëd siné. Portuguese Ela fecha sempre a janela antes de jantar/cear. Romanian Ea închide totdeauna fereastra înainte de cinare. Romansh Ella clauda/serra adina la fanestra avant ch’ella tschainia. Sardinian Issa sèrrat sémper/sémpri sa bentàna innantis de chenàre/cenài. Sicilian Idda chiui sempri la finestra prima di pistiari/manciari. Spanish (Ella) siempre cierra la ventana antes de cenar. Umbrian Essa chjude sempre la finestra prima de cena’. Venetian Eła ła sara/sera sempre ła fenestra vanti de xenàr/disnar. Walloon Ele sere todi li finiesse divant di soper.